Home is the place where we should feel our very best. I feel very confident in saying that these little bottles of essential oils have literally transformed my family’s life and home in dozens of tangible ways over the past five years. 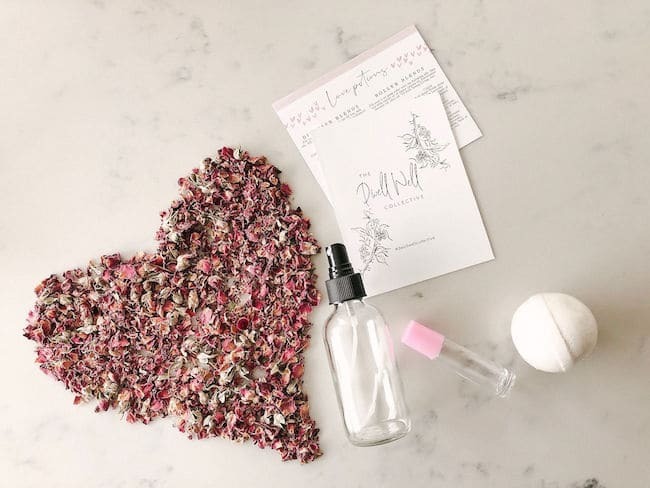 This month I am packaging up an extra SWEET Valentine’s gift bundle for you for FREE when you dive in and grab the amazing essential oil and diffuser kit I recommend and use for my own family. I actually can’t imagine our home without these oils now, they’ve positively impacted nearly every area of our life. I use oils every day for SO many things. They’ve replaced toxic candles and scented products so our home is clean and becoming toxin free. Our home smells like a dream, naturally. Now we use oils to promote a wonderful ambience. Their aroma brings a sense of calm and peace to our home, like a spa. Peace & Calming will even help our dog Jack settle down when he’s stressed and bouncing off the walls! We use oils in the evenings so we all can relax and sleep like babies. And in the mornings so we can wake up and focus on the day ahead. We have ditched all of the toxic household cleaners we used to think smelled good (but they actually smelled like harmful synthetic chemicals). Now we use only Young Living’s incredible (it smells like fall!) plant-based Thieves household cleaner. 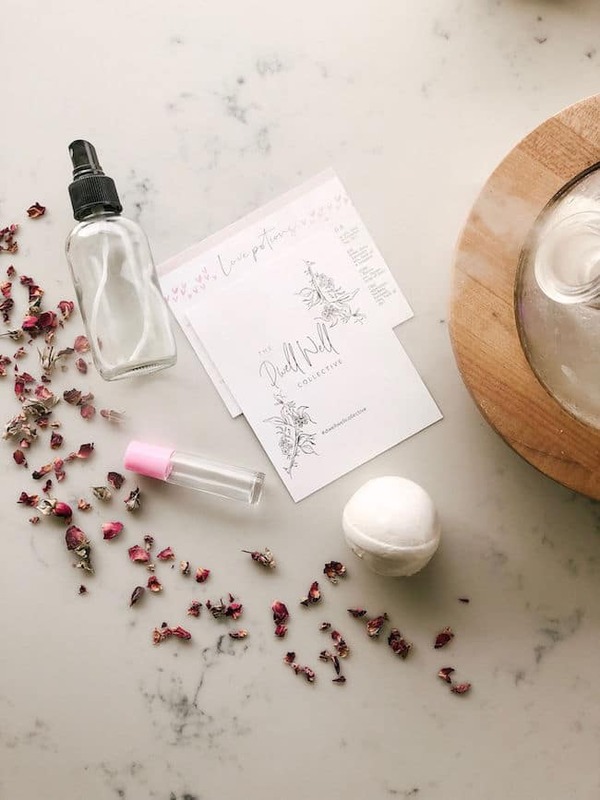 I add oils to my skincare routine and use them to make other natural products. I love Young Living’s skin, cosmetic and makeup line, too! I no longer reach for ingredients known to cause cancer or disrupt hormones or endocrine systems. We use oils daily for to supporting our immune systems and respiratory systems so we stay well. Happier tummies for the win, can’t say enough about this with my own journey to go gluten-free! We use oils for a positive impact on mood, happy healthy emotions and hormones and so much more (oils work in harmony with our body’s chemistry, unlike drugs which often have toxic chemicals and may work to block and cover up symptoms). Our home is happier and healthier than it’s ever been. I give Young Living and their products my highest recommendations to all of my friends. No reservations, I know you’ll love it. I want you to join me on this journey to make our homes the safe and comforting sanctuaries we want for our families. 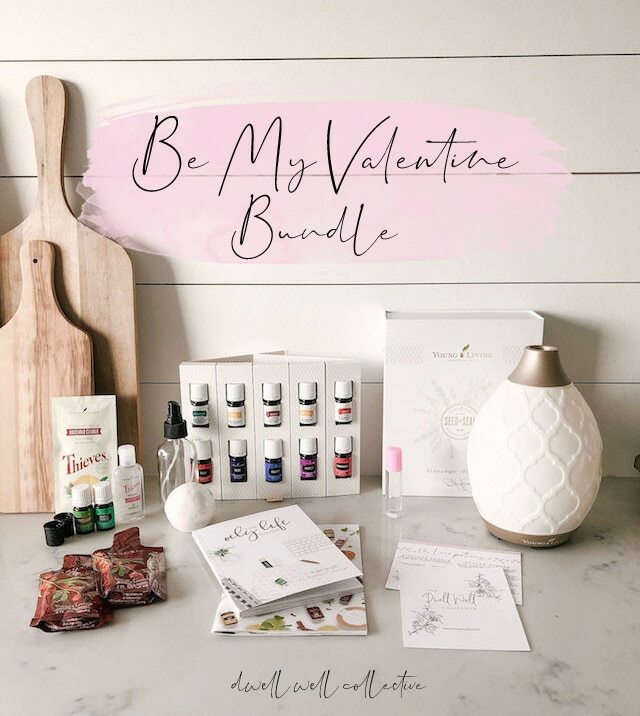 When you grab yourself this essential oil kit with my referral link during the month of February, I’ll ALSO send you a FREE adorable bundle of extra special goodies as a gift from my house to yours. (Cannot be combined with any other offer). 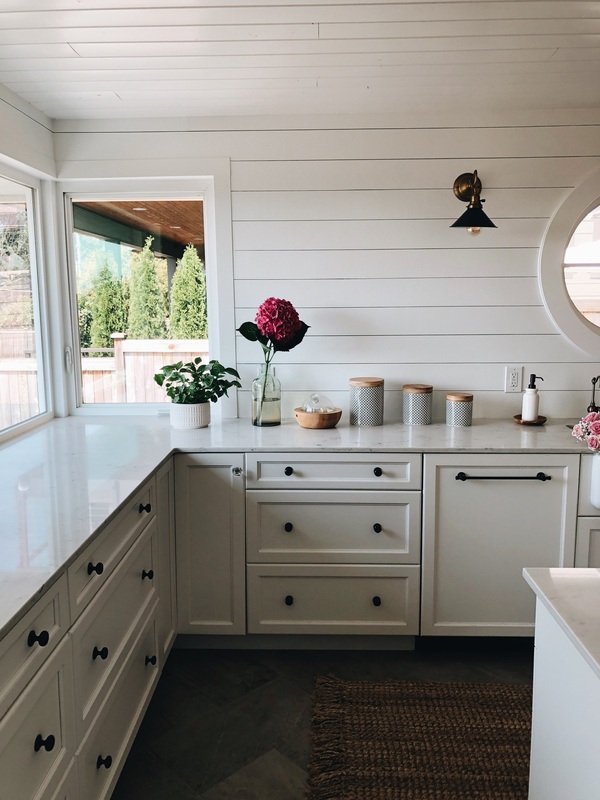 Plus, when you get your kit with my referral, you’ll also get an invite to our FREE private wellness community you’ll love called The Dwell Well Collective. We love spoiling our group with lots of helpful resources and educational information We walk with you every step of the way!. You’ll love your kit, I promise. It’s been sooo good for our family and home. Click here to order your kit!